Storms, flooding, freezing temperatures, and now a warm-up? Recent weather is throwing us all for a loop. But we know of a few spots where you can weather all this crazy weather. 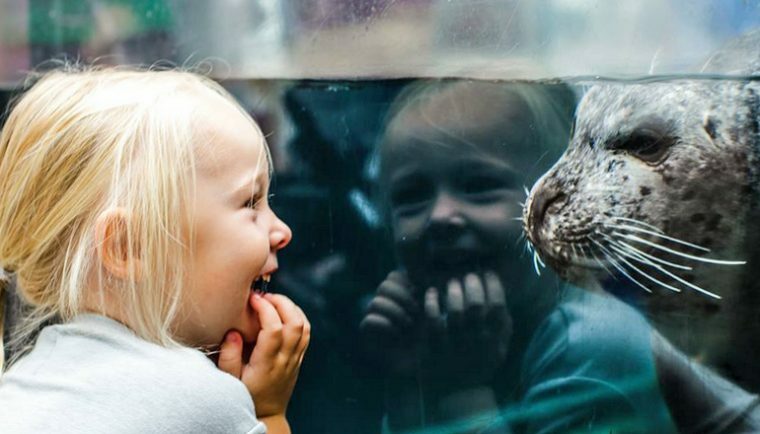 From bright and colorful tropical exhibits to ocean animals that will warm the cockles of your heart, exploring Central Wharf is a great way to spend a freezing cold winter afternoon. 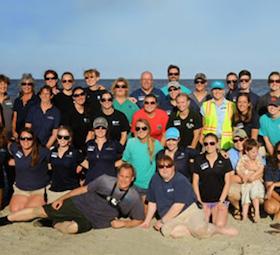 Here are a few ideas on where to start your visit. 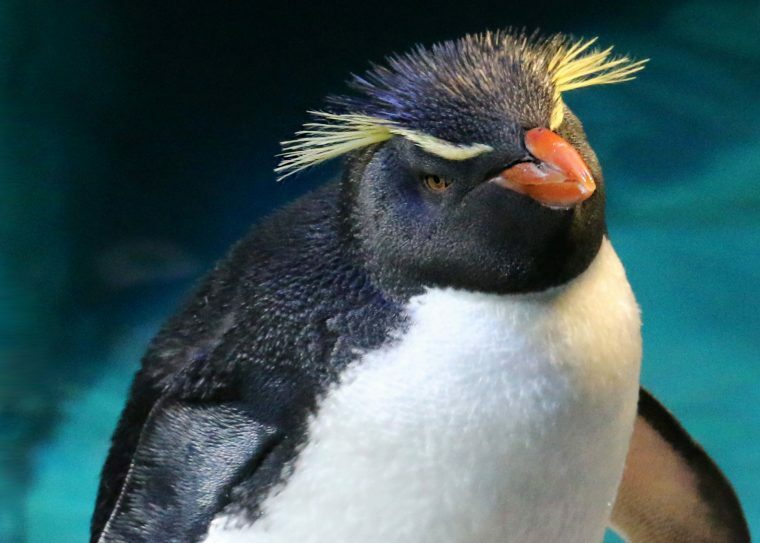 A brand new exhibit just popped up across from the African penguins on Level 1. 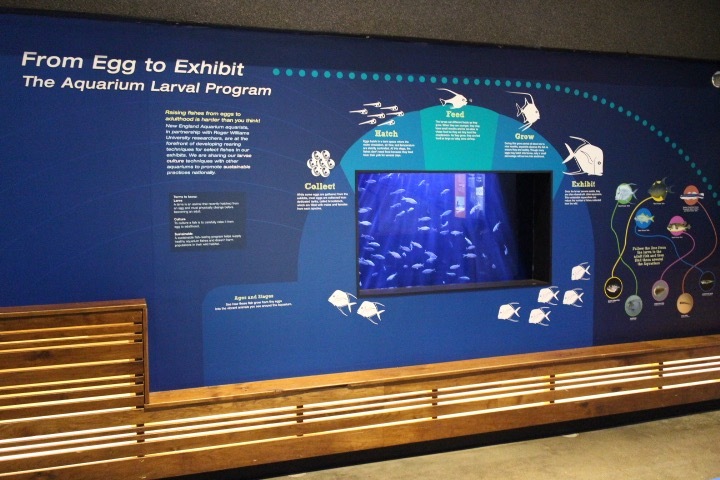 Come by to learn how aquarists culture and care for larval fish and other animals, and then grow them into adults large enough to go on exhibit. It’s actually harder than you might think! But it’s an important way that we are trying to make our exhibits more sustainable. When we’re able to raise fish for our exhibits and displays at other aquariums, it means less fish are collected from the wild. And the warm fuzzy part? Babies! Come meet some pipsqueak smallmouth grunts. 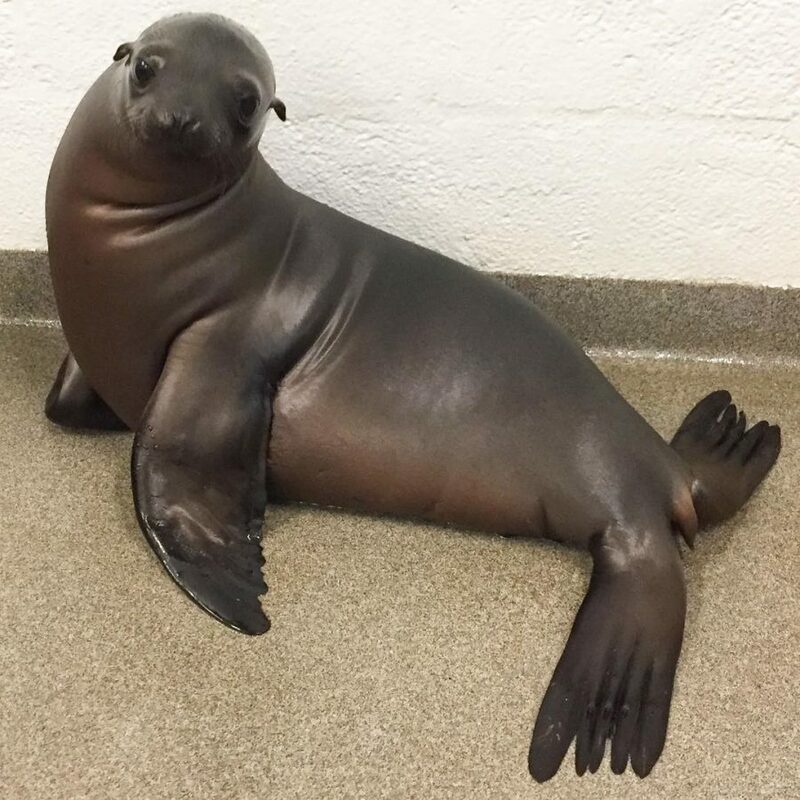 He’s getting bigger every day, which means there’s even more of little Ron the sea lion pup to love! He’s 6 months old and, as you can see, he’s been nursing a lot. He’ll start to eat more and more fish as he gets older. 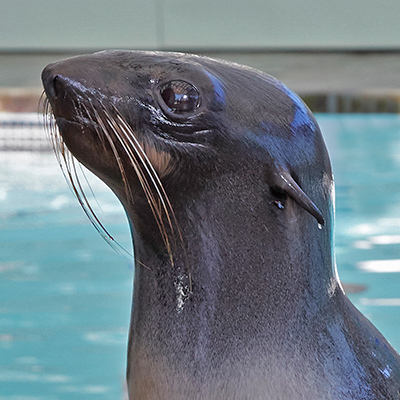 Exploring the exhibit, playing with new toys, making new connections with his fellow sea lions and seals, and napping are also all on Ron’s daily to-do list. Recently, his trainers brought a little bit of this cold and wintery weather inside for him to play with. Bask in a tropical mangrove setting and dip your fingers into warm water to touch cownose rays and epaulette sharks. Thread your way along the spiral climbing the four-story Caribbean coral reef Giant Ocean Tank exhibit and see sea turtles, stingrays, eels, and schools of tropical fish. 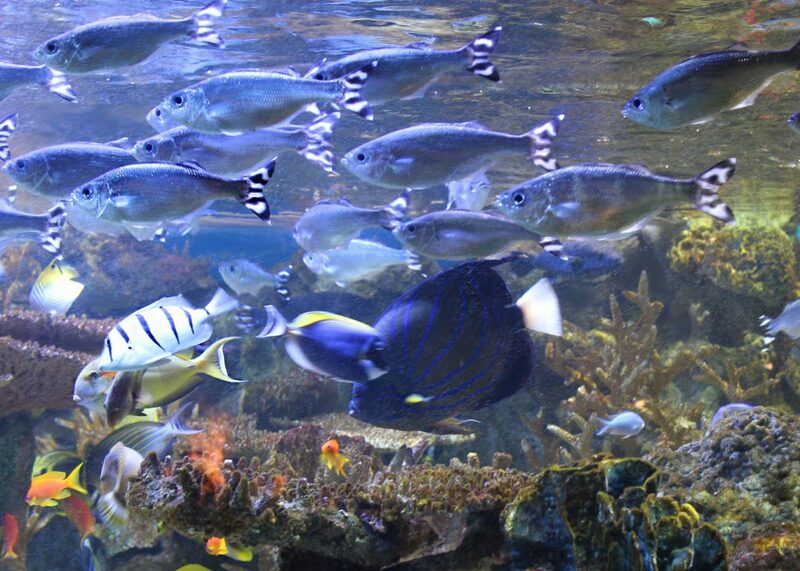 And pause at any one of the vibrant, bustling exhibits in our Tropical Gallery, the largest spectacle being the Pacific Reef Community with tangs and butterflies and unicorns and more. Stash your coats in one of our lockers and willfully ignore the elements outside while you enjoy the tropics inside. 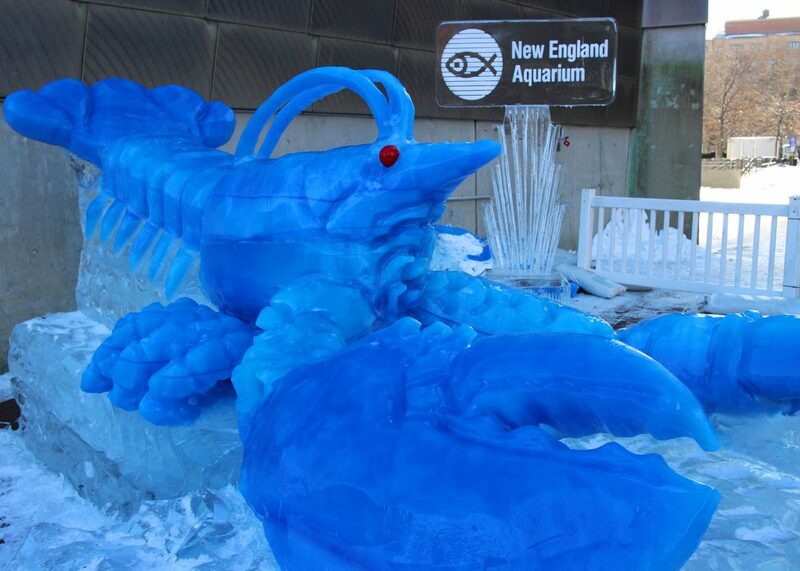 And here’s a reason to fully embrace the Arctic blast: the enormously awesome blue lobster ice sculpture by Don Chapelle is still with us! That opaque blue color comes from cream and dyes mixed into the water before freezing. The carefully crafted claws were made off site and assembled and polished to a gleam here at the Aquarium. Frigid temperatures meant this handsome crustacean has been stalking the front plaza since before New Year’s Day, and even the snowstorm and flooding in the neighborhood didn’t set him back. But there’s a warm-up ahead! If you want to see this spectacular creation, come visit. So if you’re getting a little stir crazy these days, we got you covered. 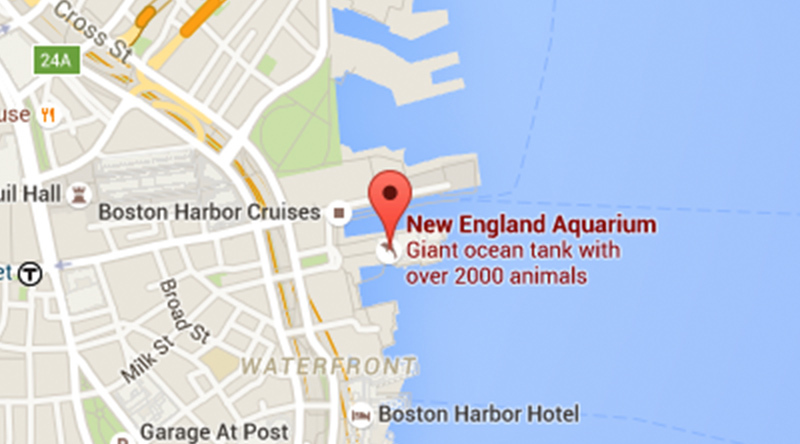 Start planning a visit to the Aquarium.